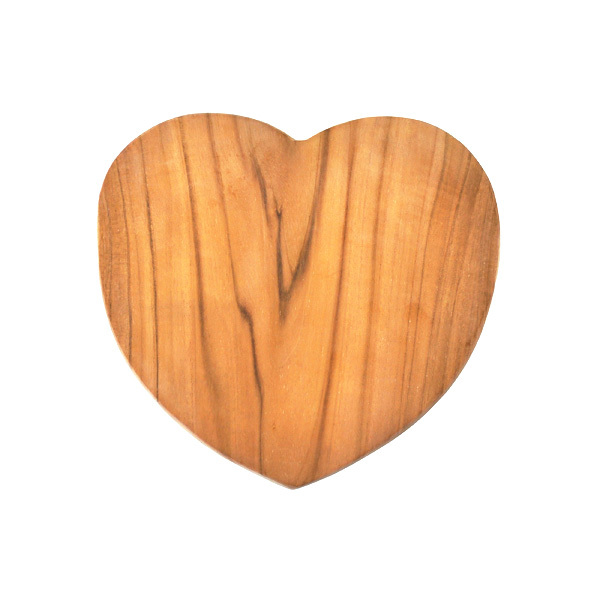 A beautiful teak wood heart shape board – use as a cutting board, serving board or a cheese board! 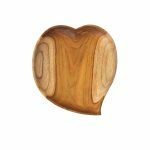 This large teak heart shaped board measures 10″ x 9″ x 0.75″. Due to the natural grain and coloring of teak no two boards will ever be the same. 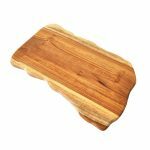 Teak is a very dense wood with a close grain, this makes it very hard-wearing, water resistant and durable – perfect for use as a cutting board. Naturally Med teak products are all made from a single piece of teak wood from Indonesia. Teak products will last a lifetime if properly cared for. All our teak products are made from a single piece of teak wood so are hard-wearing and durable. 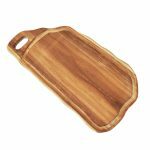 Please hand-wash these beautiful teak cutting boards, don’t put them in a dishwasher. Occasionally coat the wood with mineral oil – this nourishes and protects the wood. Teak wood is known for its stunning grain, this means each piece will be totally unique and have natural coloring and patterns. 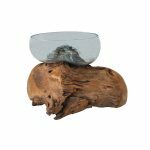 Each teak piece is hand-carved by skilled artisans in Indonesia, so no two are exactly alike.